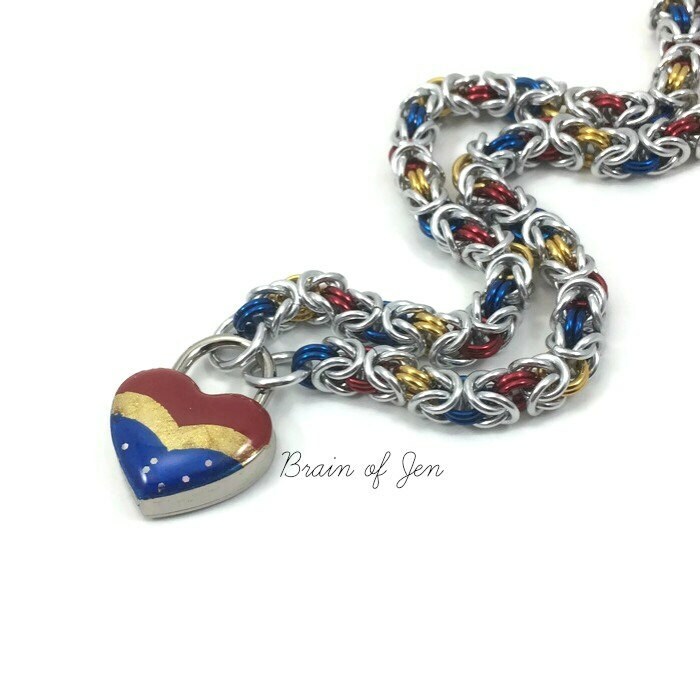 This unique, playful sub collar is perfect for any Wonder Woman fan, or strong, fearless woman! 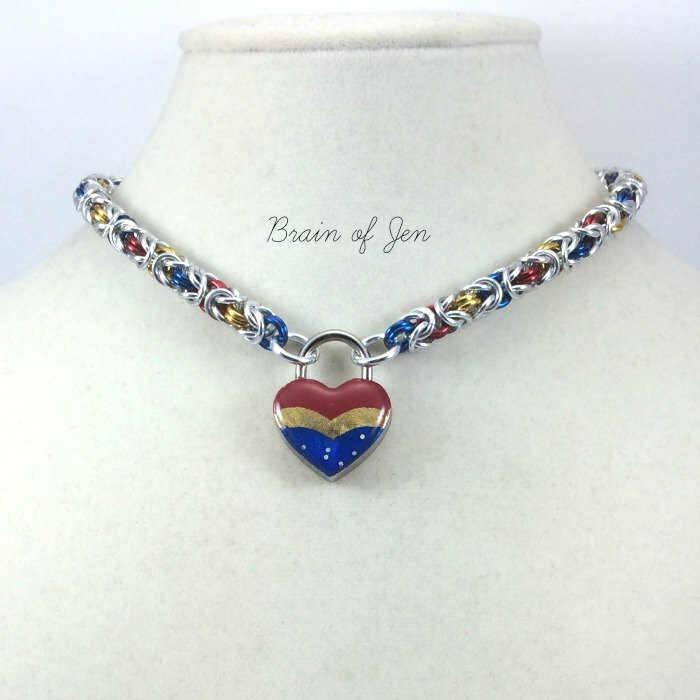 The collar closes in front with a small nickel silver heart shaped lock hand painted to mimic Wonder Woman's iconic red, blue and gold body suit, and made permanent with a clear enamel coating. 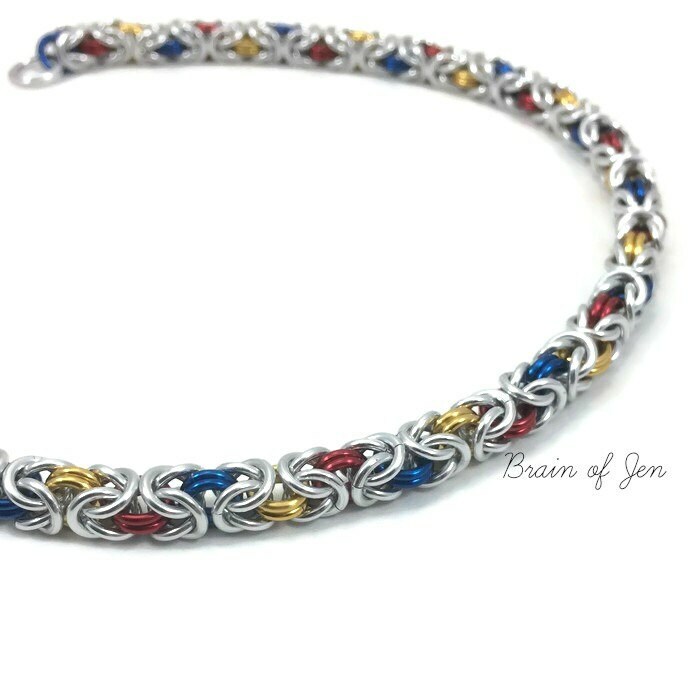 The colorful chain is woven one ring at a time in an intricate pattern known as the Byzantine weave, using high quality anodized aluminum rings in bright silver accented with vibrant blue, gold and red throughout. 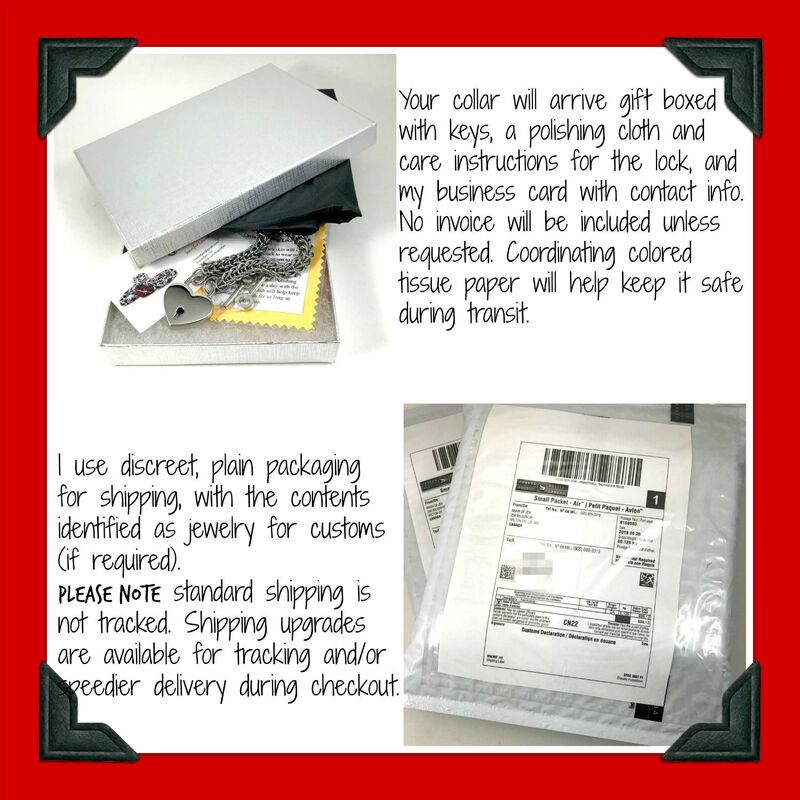 Aluminum is hypoallergenic, lightweight and easy to care for, just a little soap and water gets it shining just like new again, so it's shower friendly. 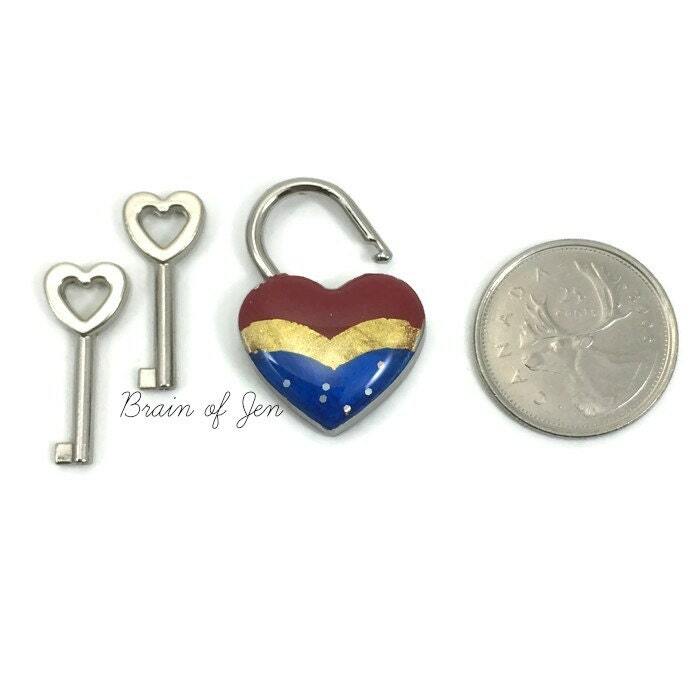 The lock, measuring 20 mm, is made with nickel silver and is NOT hypoallergenic. If you have any concerns about allergies or metal sensitivities, I'd be happy to add a coat of resin to the other side as well at no extra charge, just let me know!